Shoes can be an important addition to any elegant outfit. That’s especially true if you need to fit in during a formal event or at the office. However, not everyone has the money to spend on a fancy new pair of shoes. Because of that, it’s important to find something that can offer you both style and class at a price that works for you. 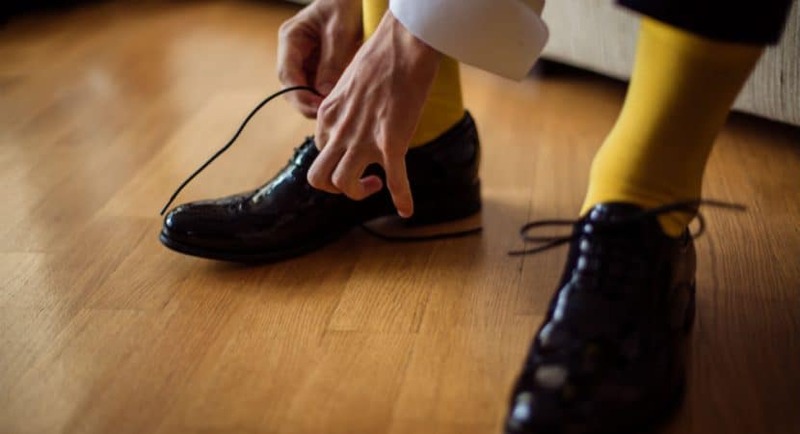 To help you with finding the ideal shoes, we’re going to provide some information on popular dress shoe options that come at an affordable cost. 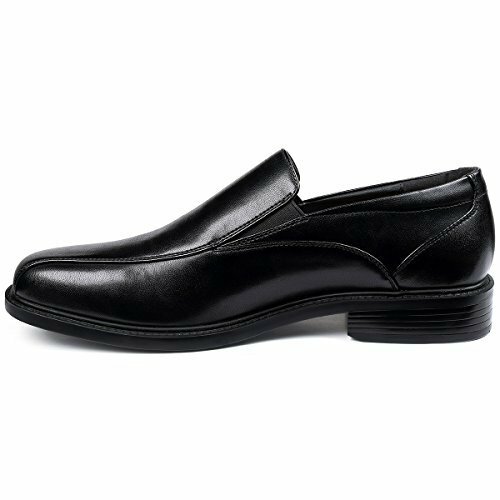 We’ll include a few different styles including slip-on and laced dress shoes as well as different brands to help you with making your choice. In these Hream Dress Shoes, you’ll find a great look and a simple, slip-on fit. They’re made from a faux leather designed to offer the same elegant appearance at a much lower cost than real leather. In addition, they are well polished and sure to impress those you work with. On the inside of these shoes, you’ll get a memory foam sole so that you can remain comfortable while looking good. While being stylish they’re not likely to wear out too quickly for those who spend a lot of time on their feet. The bicycle toe design brings together the overall look of these shoes, and they’re designed overall to be easy to care for. That way, you won’t have to worry about spending a lot of time on caring for them as these shoes will last for a long time. The sole is also designed to be non-skid, so you’ll be able to walk in wetter spaces and inclement weather without worrying about them sliding around. In the sole, you’ll also find decent support to keep your feet protected. Furthermore, the sole is made to allow you to walk around easily without a lot of shock to the bones and joints in your feet. Overall, with a simple and elegant design that you’ll be able to slip on easily, you really can’t go wrong with these shoes. 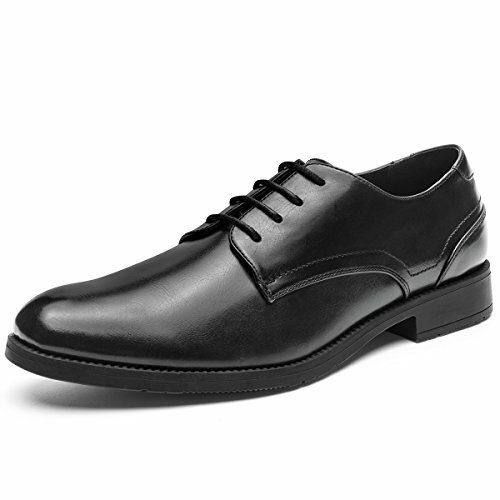 If you prefer something with some simple laces, these Jomen Oxford Shoes are a great option. They are made from premium leather resulting in a shiny, high-quality appearance. The toe is also a plain style, making these shoes simple, elegant and a welcome addition to just about any formal environment. Whether you’re out on the town, attending an event or just feel like looking good, these are a sensible option. 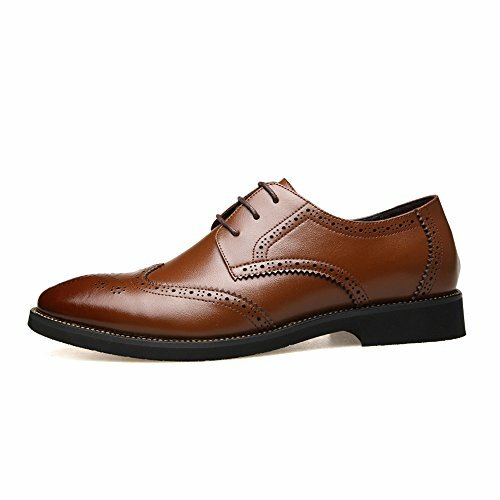 Because of that quality leather, these shoes are resistant to weather, which can help to avoid foot odors and wet feet. They are also very breathable so you won’t have to worry about problems with sweat. The sole inside is synthetic and made to offer comfort by absorbing more of the impact that can come from walking. Many who have worn these shoes have found them to be highly comfortable. They also trend towards being easy to clean so you won’t have to worry about struggling to keep them looking nice. They work well for both casual and formal situations, so you’ll be able to get a lot of use from them. Many customers also find that these shoes appear more expensive than they are, which is a fantastic benefit for those in need of great looking shoes. Not everyone can afford the cost of the expensive brands, so it’s good to know that you can still get a lot of quality without breaking the bank. For an even classier look, these Feetmat Oxford Shoes have a fantastic design that is sure to liven up your outfit. They are made from leather and come in brown and black varieties. The design also involves blind-eyelet lacing to create a truly unique appearance. The laces are made to be simple and easy, adding more to the design than making you have you stop to tie or re-tie your shoes. They can be worn all year long, allowing you comfort and a great look in any season. You’ll also be able to wear them with formal or casual outfits. One of the most important features of these shoes is that they come at a great price. You won’t have to worry about paying a lot for great-looking shoes, which is a benefit for those on a budget. With a classic look, you’ll be looking great no matter whether you’re at the office, on a date or even just hanging out with friends. Furthermore, the sole is designed to be very sturdy so you won’t have to worry about them wearing out too quickly. They also tend to be rather lightweight, allowing you to easily move around as needed without feeling like you need to drag around your feet. Overall, for a classy look at a great price, these are the way to go. The shoes listed here are all great to get a lot of style at a fantastic value. If you’re looking for formal dress shoes that aren’t going to empty your wallet, any one of these styles can get you the results you need. That said, the Hream Formal Dress Shoes sit at the top of the ranking in this article. They have an easy-to-wear design that has the kind of simple elegance that can fit into a lot of situations and outfits. They also come in at a very affordable price, making them the perfect choice for those in need of a versatile pair of dress shoes.